I am a makeup lover and I do know that many of you already noticed that. It is a love that I found no more than one year ago so we are still in our honeymoon phase. And I do love eye shadow palettes, how doesn’t? But I don’t like to spend that much money with them. I wouldn’t be capable of spending about £40 on the Too Faced Chocolate Bar Palette, for example. I think that it is too much to pay. All of this to say that I found this No7 Mini Eyeshadow Palette for £11 and I had my eyes on it for a few weeks. I couldn’t decide if I should give it a go or not. There was not much information on the web about it so… I bought it, finally. I do like the packaging of this palette. 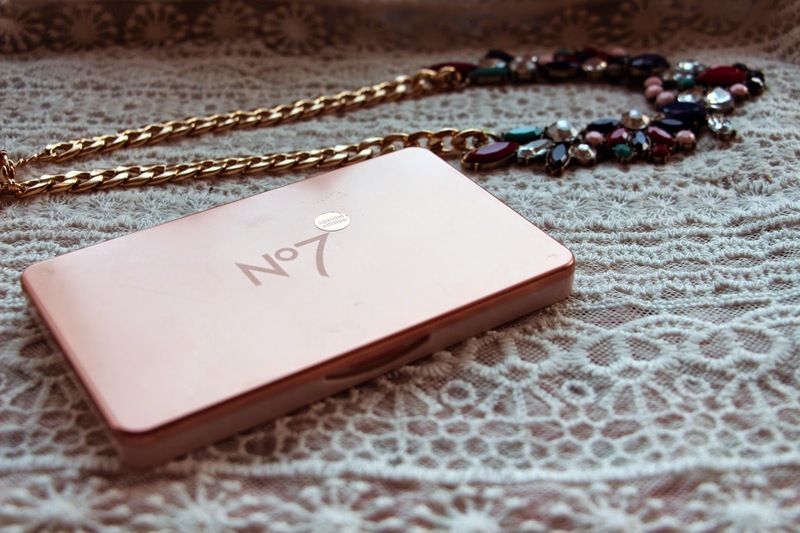 Rose gold, strong plastic, very elegant. It also has a good sized mirror inside and as the palette is not that big, it can be used quite easily on the go to fix your makeup. So that is a good thing. 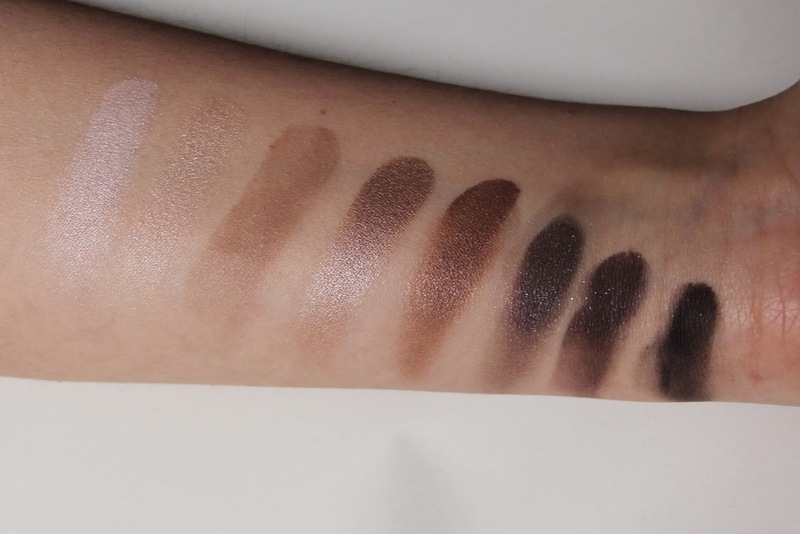 This is a palette with eight eyeshadows, being 2 of them matte and 6 shimmery. There are enough colours to do a perfect, smooth and classy everyday makeup look as there are many to do a powerful, glamorous evening/night look. Even though this eyeshadows are very smooth and have quite a good pigmentation, they are quite powdery and there is a crazy amount of fallout that I really don’t like so keep this in mind if you are thinking about buying it – but this negative side of it doesn’t make me regret about buying it. I have been wearing some of the lighter eyeshadows as my everyday makeup look and they do last quite nicely, specially if you apply a primer (I use Focus & Fix Eye Primer by Makeup Revolution). Here his a photo with swathes of the eye shadows. These are the swatches with the primer that I mentioned above. As you can see, it does have a good pigmentation. I love the 4th colour. I am quite happy with this palette, I must admit. Travel size friendly, it has a good number of colours to do either a day look or night smokey eye, good sized mirror and the price is not that bad for a nice eye shadow palette. So if you are not sure about it, I suggest you to give it a go. I do like it a lot. If you want me to do a makeup look with these eye shadows, let me know in the comments below.